My Life in Chile: Beautiful Perú! My trip to Perú was amazing! I went with three of my friends from ISA and we didn’t really have a plan, other than the fact that we all knew we going to visit Machu Picchu one of the days that we were there. We had made hostel reservations prior to departing but as far as any plans, we just left with a Southern American travel guide and decided we’d talk to people to see what and how to do things and if that didn’t work we’d have our travel book. On Friday we had to take a bus from Valparáiso to Santiago, where we would then spend the night in the airport as our plane departed Saturday morning at 6am. The Santiago airport and how we got there is another story. 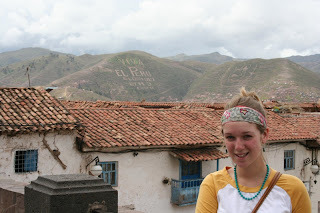 Nonetheless, we made it to Perú in the early afternoon and spent the afternoon wandering around Cuzco. 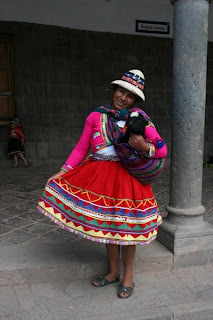 Other than the two days we spent in Aguas Calientes and visiting Machu Picchu, we spent our time wandering around Cuzco. Cuzco was touristy and filled with backpackers, but it was also filled with culture and plenty of different places to visit. 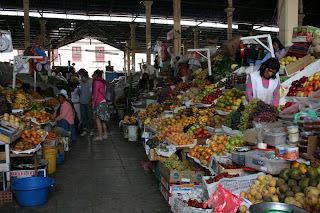 We visited several Artesian Markets and local restaurants and markets. 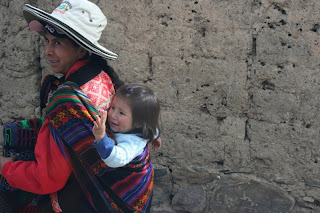 I absolutely loved Perú and would love to go back again someday. It is very different from Chile in many different aspects. It is not modernized to the extent that Chile is and is actually quite poor. In fact, everything there was ridiculously cheap. At one restaurant, we each paid 10 sol for a full course meal, which is equivalent to a little more than 3$. 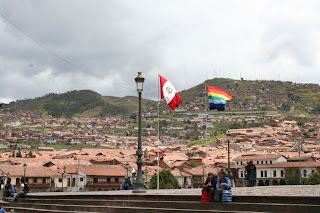 The economy of Perú is heavily reliant on tourism and that was quite evident as we walked through the streets, people would ask you to come to their restaurant or shop and try to give you a deal. It was really interesting! Peruvians there were always very friendly with us and willing to help whenever we asked. It helped that we spoke Spanish as they were more appreciative we could speak THEIR language instead of them struggling to speak English. We met a bunch of different people throughout the trip. The great thing about traveling is everyone is outgoing and excited to meet you. They want to know where you’re from and where you are going. It truly is a great spirit and never once did we feel scared or unsafe (of course we were smart about what we were doing so that helped too). Sounds like you had a blast! I wish I could go, though I'm sure I'd end up being one of those tourists who spoke English since my spanish (or what I remember at least) is so limited. Awesome pics, Meg!